Sometimes the journey is just as spectacular as the destination; and that’s certainly the case with Scenic Byway 12 (www.scenicbyway12.com), which is located in a secluded slice of Southern Utah. The route begins just west of Capitol Reef National Park, and offers views of Kodachrome Basin, Grand Staircase-Escalante National Monument, Glen Canyon National Recreation Area and the Dixie National Forest, before it passes the northern part of Bryce Canyon National Park and ends at Highway 89. Although this byway was a dirt road until 1985, this 124-mile drive has been repeatedly described as one of the most diverse, remote and ruggedly beautiful landscapes in the country. And even though it only takes a few hours to traverse the length of it, there are many accessible sites to stop and enjoy along the way. The first part of the byway winds through a Ponderosa Pine and Aspen forest just outside of Torrey, and offers some spectacular windshield views. Boulder, which is located about 50 miles down the road, is a good place to stop and stretch your legs and enjoy the Anasazi State Park Museum (www.stateparks.utah.gov/parks/anasazi). 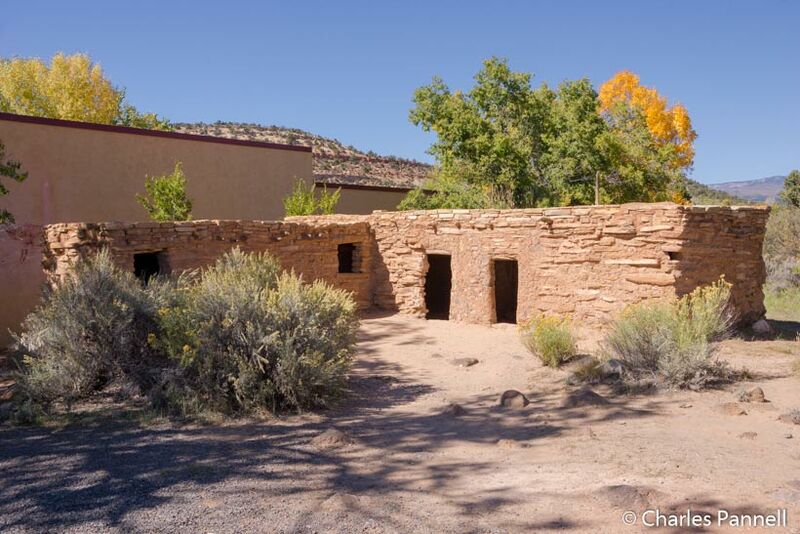 There’s accessible parking in front of this excellent museum, which offers an intimate look at the Anasazi who once inhabited this area. Inside, there’s plenty of space to maneuver a wheelchair around the interpretive exhibits about the ancestral pueblo; and level access to the theater, where a movie about the Anasazi is shown. Out back there’s a level pathway over to Coombs excavation site, where 97 rooms, 10 pit structures and hundreds of thousands of artifacts were unearthed. There’s a level walkway through the excavation site, with interpretive panels about the former residents along the way. Although there’s slight grade in a few places, most wheelers will be able to access the site without assistance. It’s an interesting look at a civilization that virtually disappeared without a trace. Boulder is also a good place to get a bite to eat, and although there aren’t a lot of restaurants, two are definitely worth a mention. 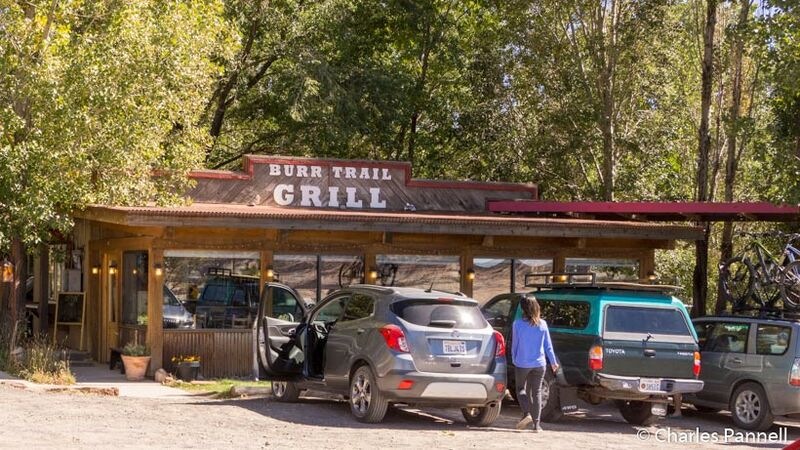 The Burr Trail Grill (www.facebook.com/BurrTrailGrill), which is located at the intersection of Scenic Byway 12 and the Burr Trail, tops the list. There’s level parking in the adjacent dirt lot, and the restaurant has a wide doorway and adequate room to maneuver a wheelchair inside. 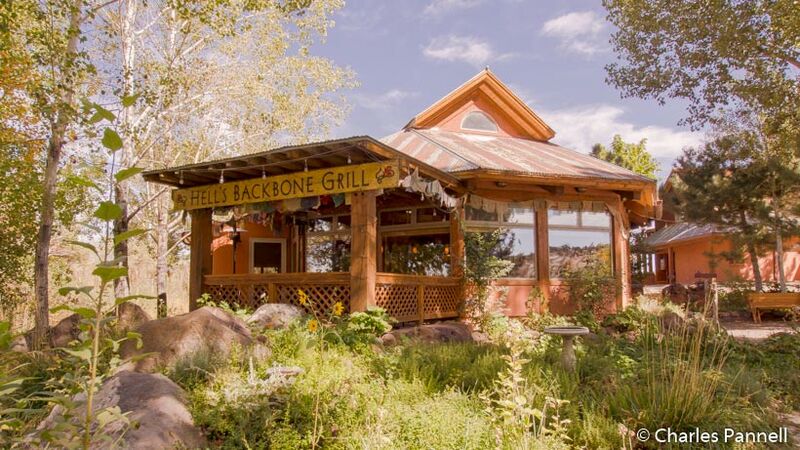 The menu features a selection of burgers, salads and sandwiches, but the Burr Trail Grill is especially known for their homemade pies. The one downside to this eatery is that the restroom has a very narrow doorway and no grab bars. Even if you don’t eat a whole meal here, stop in for a slice of pie to go. Hell’s Backbone Grill (www.hellsbackbonegrill.com), which is located just up the road next to Boulder Mountain Lodge, also makes a nice lunch stop. There’s level access to this farm-to-table restaurant from the top parking area, near the lodge. This comfortable cafe serves up breakfast, lunch and dinner with a healthy Southwest flair. Entrees range from specialties such as a smoked trout quesadilla and blue corn pancakes, to standard breakfast fare, and even salads or a BLT for lunch. It should be noted that although the byway is open year-round, both of these restaurants are closed in the winter. If you find yourself in the area during that time, the best option is to pick up a sandwich in Torrey and enjoy a picnic — weather permitting — along the way. The road is plowed during the day, but remember to carry cables or chains in the winter. From Boulder, the byway continues west to Escalante, where you’ll find the Escalante Petrified Forest State Park (www.stateparks.utah.gov/parks/escalante-petrified-forest). 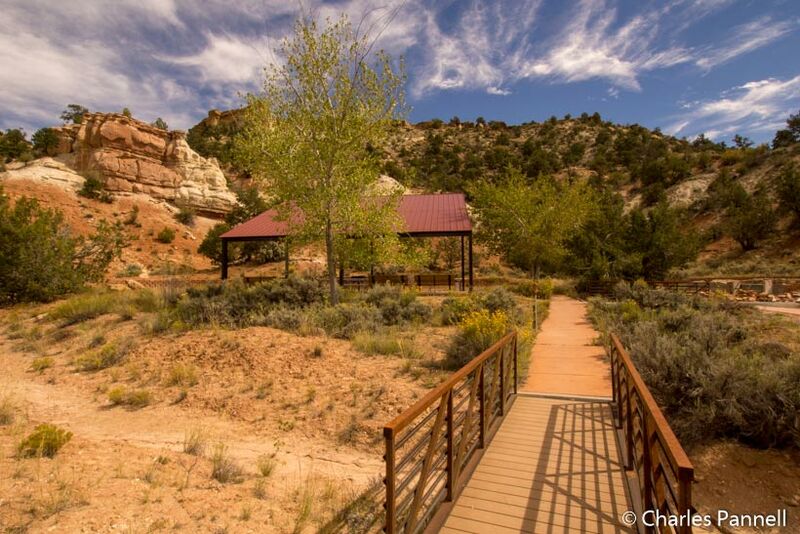 Accessible parking is located near the covered picnic area, which offers a panoramic view of the surrounding hills dotted with petrified wood. The short Petrified Wood Cove Trail is located nearby, and this wide level sidewalk winds past a garden filled with petrified wood and native plants. And don’t miss the 50-foot long petrified tree, that’s on a level cement pad near the picnic area. There’s also accessible parking in front of the restrooms, which have accessible flush toilets and sinks. And if you want to learn a little more about the area, there’s ramp access to the small visitor center. Back on the byway the route passes through Grand Staircase-Escalante National Monument and offers a breathtaking canyon view. At one point the road travels along a narrow isthmus-like bridge, with sheer drop-offs on both sides of the road, and features stunning views of rock formations in a rainbow of earth tones. 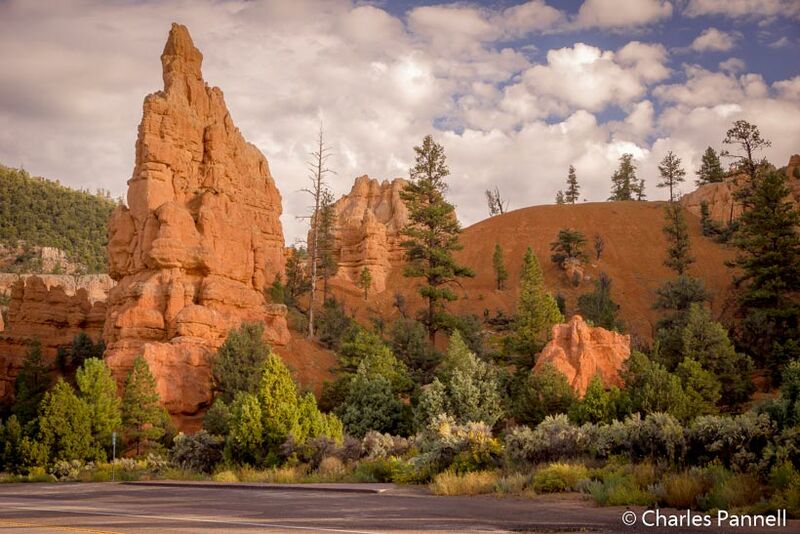 As the byway nears Bryce Canyon National Park, the road becomes lined with spire-like red rock hoodoos that seem to magically rise from the ground. Created by a combination of freezing, thawing and erosion, these unusual limestone formations were sculpted over millions of years. And just when you think the journey couldn’t get any more scenic, the byway passes through Red Canyon. 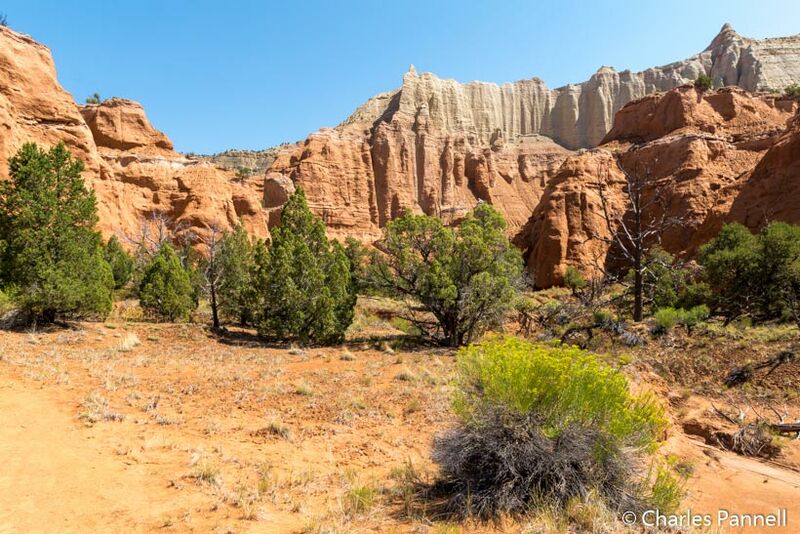 Often called Little Bryce, the area is filled with pullouts to take it all in, and there’s also a nice paved bicycle trail on the south side of the highway. It’s definitely worth a photo stop (or two), and it’s quite the fitting finale to an extraordinarily scenic drive.